Steinbach’s Nutcracker Ballet series features all-new designs inspired by the beloved Christmas story, “The Nutcracker.” Beginning with Herr Drosselmeier, this series will continue to include all of your favorite characters from the story and ballet. “Herr Drosselmeier” is the 1st piece to be featured in Steinbach’s new Nutcracker Ballet series. 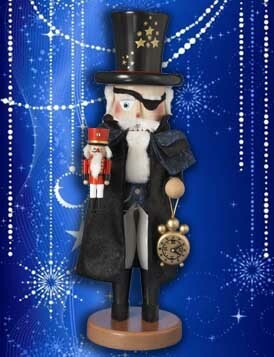 True to the story, this 19” Drosselmeier is wearing a long robe, an eye patch, a black top hat, and is holding a smaller nutcracker and a golden stopwatch. 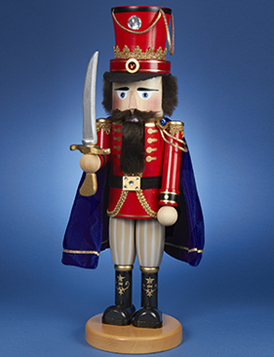 This nutcracker is a limited edition of 5,000 pieces. The Prince is the second piece to be featured in Steinbach’s festive Nutcracker Ballet Series. True to the story of “The Nutcracker,” this handsome, heroic prince is wearing a red and gold uniform and cap, a royal purple robe with gold trim, and is holding a long sword. Clara is the third piece to be featured in Steinbach’s festive Nutcracker Suite Series based on the famous ballet. 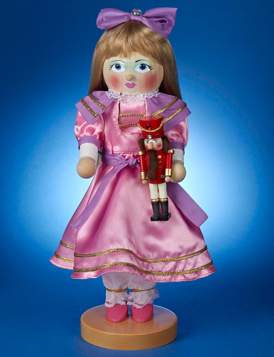 True to the memorable story of “The Nutcracker,” this beautiful piece features a bright pink dress with frilly purple and gold embellishments, long blonde hair, and, of course, a miniature nutcracker in Clara’s hand. The Mouse King is the fourth piece to be features in Steinbach's festive Nutcracker Ballet Series. 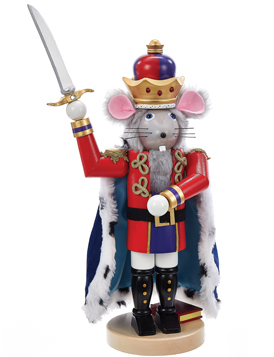 True to the story of "The Nutcracker," this beautiful piece features the Mouse King in a regal uniform, complete with crown, cape, and sword. Like all Steinbach creations, the Mouse King is hand crafted in Germany with the finest care and attention to detail. 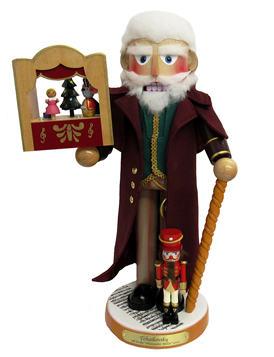 This Steinbach Musical Tchaikovsky Nutcracker from Kurt Adler pays homage to the man behind the beloved Christmas tale, The Nutcracker Ballet! The 5th piece in Steinbach's Nutcracker Ballet Series Tchaikovsky is wearing a dark green vest and a long maroon coat each with gold embellishments. In his one hand is a wooden cane and in the other is a miniature stage with the Clara and the Mouse King. At his feet stands the proud Nutcracker Prince. When the tree is wound, this musical piece plays the tune "Nutcracker Ballet".